No OJ. Have to try amazing Greek fruit juice instead. Not bad. My snout detects orange, apple and mango. 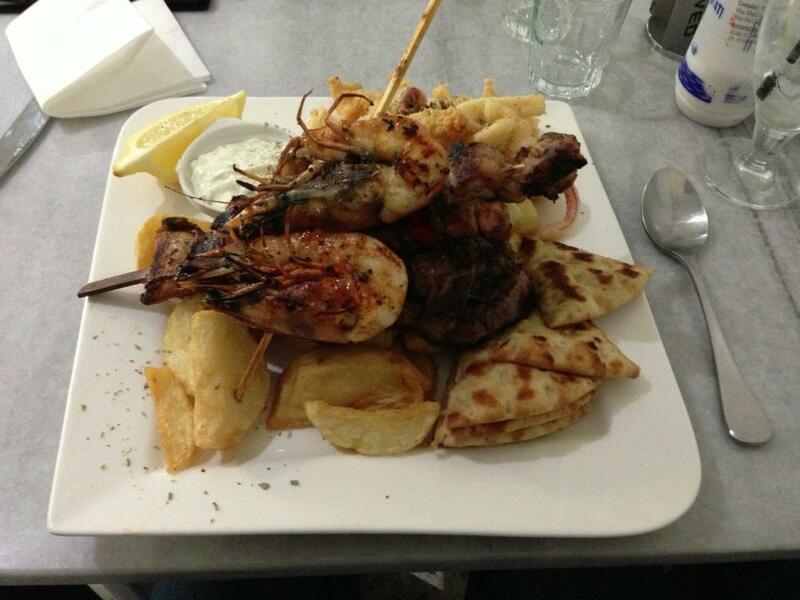 Char grilled lamb cutlet, prawns, fried calamari & chicken souvlaki served with potatoes, pita & dip. Food taking a long time. Food arrives, and is the largest plate of food I’ve ever been served. It’s like a meal for 2-4 people. The waitress lets me know that what I don’t eat, I can take home! The prawns are nice and soft, and have been marinated. The potato wedges and fried seafood (octopus) are what you’d expect in a packet of fish and chips. The tiny pita bread slices are useless, and the lamb chops are just lamb chops. The central skewer has pieces of chicken that are crispy on the outside, and zesty on the inside. 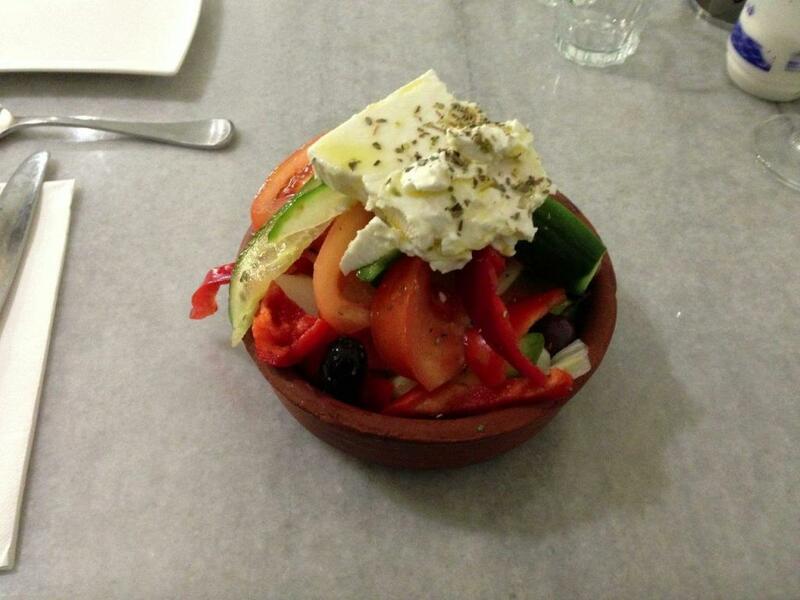 This will do for lunch tomorrow, and for the rest of 2013. Two pieces of alfoil placed on table. I can pack up whatever I want! There is no dessert menu. There’s just a glass cake display counter, with the usual baklava, kataifi etc. I decide against eating one of these things. I ask for the bill. It comes in a glass. This place cooks reasonable meat, but everything else about it is absolutely ridiculous.